Certain places capture an energy that can’t be described beyond simply living in the moment. Coconut Grove is such a place, and the stories within it’s curvy roads have been heard by the trees that line street names that reminisce about a Grove filled with characters, fruits, birds & memories. 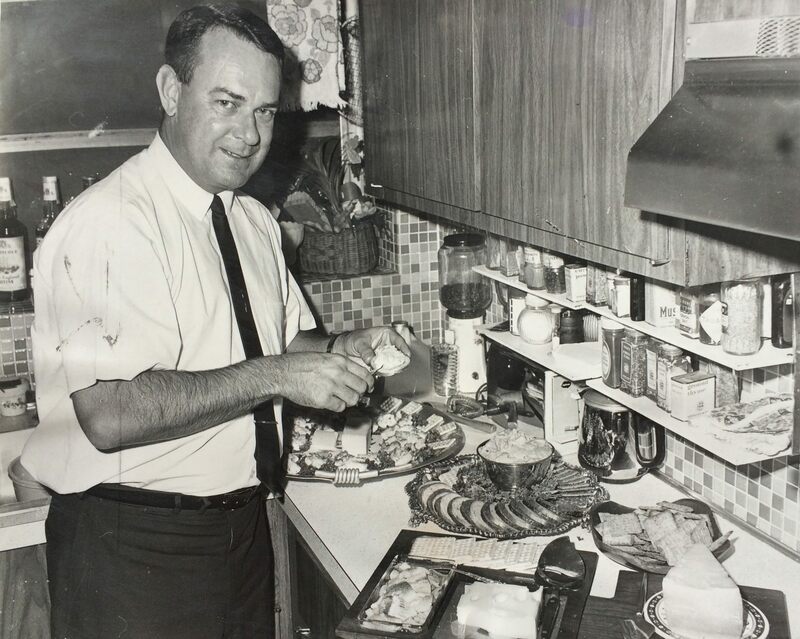 Here’s a recipe for all the “Grovites” out there, perhaps Alex served you some Kampong Date Chews during high tea in his backyard garden in Coconut Grove? 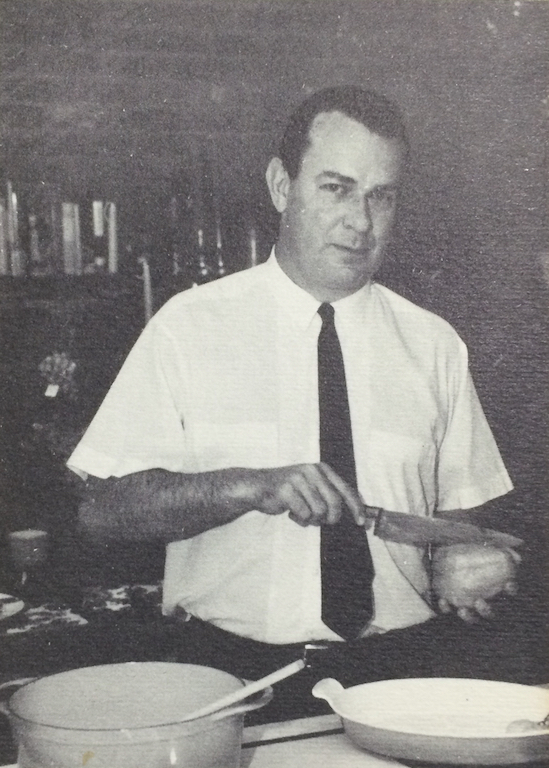 Or maybe you enjoyed them with his, Dr. Fairchild & Mrs. Marian Hubbard Graham Bell Fairchild’s company, at The Kampong, along the Biscayne Bay? 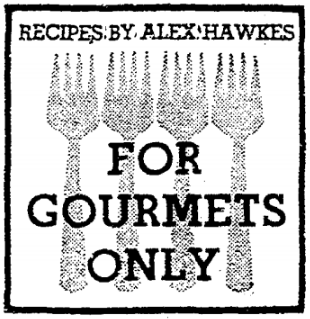 Alex Hakwes named this recipe after Dr. Fairchild’s residence in Miami’s Coconut Grove neighborhood, The Kampong. A captivating tropical botanic garden, that is still preserved and open for one’s enjoyment and amazement in enchanting Coconut Grove, Florida. 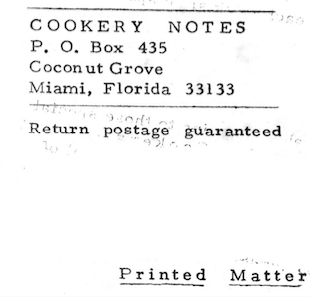 The recipe for Kampong Date Chews also appears in Alex’s first cookbook, South Florida Cookery (1964), aside from the 1963 Miami Herald “For Gourmets Only” column we’re sharing with you today. “The Kampong” Home of Dr. David & Marian Fairchild in Coconut Grove, Florida. 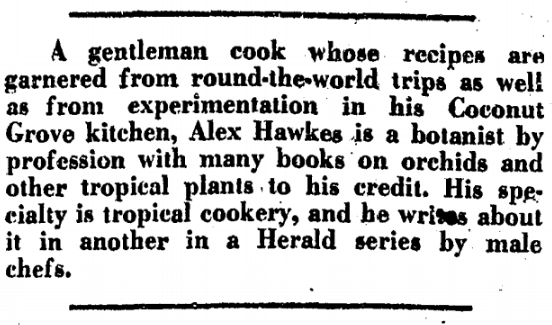 Alex would receive a yearly bountiful supply of wonderful Indio dates from California, as a sort of thank-you from the editor of an orchid magazine to which he regularly contributed to. Let’s see how he put these dates from the Palm tree Phoenix dactylifera to use. The date palm is in the palm family Arecaceae, which is cultivated for the fruit produced by the palms. When preparing these moist cookies – or are they really small cakes? – be gentle in the mixing; also when placing the various layers into the pan. They are not complicated, but beating the ingredients can cause them to “fall.” They are also better after sitting refrigerated overnight, and, then allowing them to come to room temperature. In a saucepan, cook over very low heat the dates, 1/2 cup brown sugar, salt, and 1 tablespoon flour. When this thickens and dates are just barely soft, remove from the heat and allow to cool. Add the vanilla. Meanwhile, in a large bowl, mix together the flour, baking soda, rolled oats, and brown sugar, using your hands to combine them gently but thoroughly. Add melted butter, and again be gentle while mixing thoroughly. In a shallow, well-greased 8”x 12” pan, place one-half of this flour-oats mixture; pat it down gently. Next add the date mixture, spreading it very thoroughly, and top with the remaining flour-oats mixture, which again is patted down gently. Bake in preheated, 365-degree oven for 30 minutes. Allow to cool and cut into Squares. Makes 20 to 30 squares.